Rose Wylie at 83 is having success as an artist. She is just as I would have imagined, a terribly middle class bohemian, messy, speaking in that perilously well educated quiet way. I find the work unpleasant, derivative of films without saying anything, clumsily faux naive and it’s been taken up with ridiculous enthusiasm. It has a certain vitality but it’s tedious and slapdash. Wylie has two shows at The Exchange in Penzance and at Newlyn. The work is big, the unstretched canvas is glued on to stretched canvasses. The comment book has many enthusiastic comments about her vision being like a child’s, but, ….I want to ask why Wylie likes this faux naivety. I don’t like the lack of observation, the use of Nazi uniformed figures, the crudity. One picture with its recall of wartime aeroplanes and dogs below gave me a feeling of Rose using authentic memories but many of the works were not so interesting. If they were done smaller by an artist without her connections who would give them gallery space? If she is to be congratulated on success in the art world purely because she is old isn’t that condescending? She’s having a ball, enjoying creating images and being courted as if she’s the new Basquiat, who she admires, but I suppose it’s like marmite, if the taste grates and the novelty isn’t impressing you, you have to leave it to those that contemplate Wylie’s work with relish. What if she is the new Basquiat? 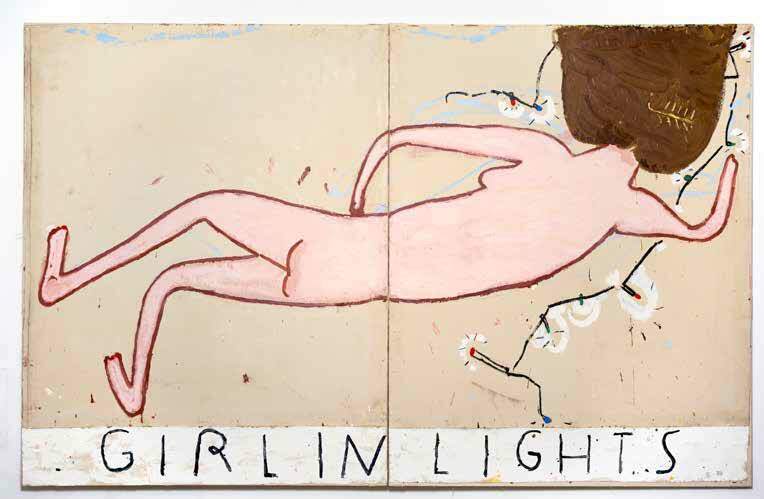 Why does it matter how old Rose Wylie is? Does her age change our interpretation of her work? I think we are missing something here and that the writer is being a bit too judgemental.